Education reform has become one of the most hotly contested topics in America today. Rather than focus on test scores, federal or private funds, or political conflicts, Dr. Zachary M. Oliver has fashioned a unique memoir that takes a powerful learning theory, Multiple Intelligences (MI) Theory, and demonstrates, through the story of his life, from his childhood to his years as an educator, the ways in which education touches nearly every activity of our lives. In Falling but Fulfilled, Dr. Oliver demonstrates how learning is an integral part of life, not just a statistic or test score, that is felt and obtained through reflection on the vast array of experiences that constitute our lives. 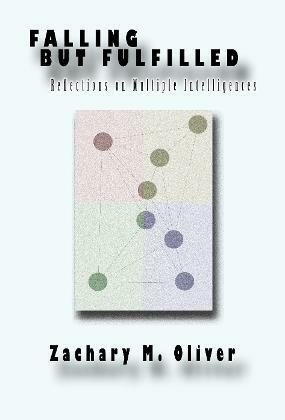 "...a thoughtful and beautifully written essay on the idea of multiple intelligences" - Dr. Howard Gardner, Harvard University, Author of "Frames of Mind" and founder of MI Theory. 5/5 stars - "Required reading for educators, employers, and really, all people" - Chris Campanioni, Fordham University. 5/5 stars - "...a transformative classic for educators, parents, students and learners not satisfied with mere information, but seeking knowledge and wisdom in learning" - Dr. Daniel S. Janik, Author of "Unlock the Genius Within."